Located three hours south of Nashville is an outdoor mecca – Marshall County, Alabama. It is a great destination for a family fun weekend trip. There are annual festivals though the year as well as a beautiful state park. There are places to explore and things to do no matter what time of the year you visit. Hours: March – October on Thursdays and Fridays from 10 AM to 3 PM and Saturdays from 1 PM to 4 PM and by appointment by calling 256-586-6397 or 256-550-0290. Located in the small town of Arab, the Arab Historical Village is unlike any historical village we have visited. Instead of showcasing life during the Civil War or pioneer times, Arab is a step back in time to the 1930s and 40s. The village has 10 different buildings to walk through including homes, a two room school house, and a country store. 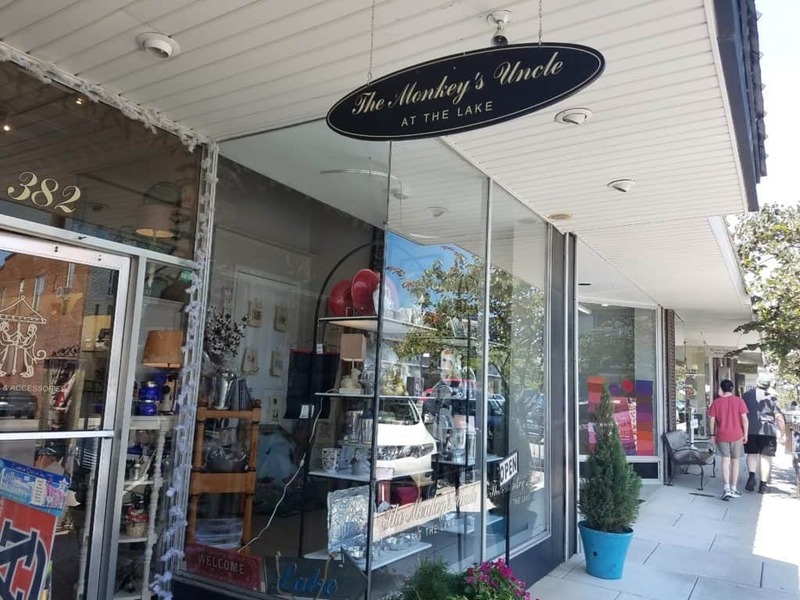 Downtown Guntersville is a mecca of antique stores, boutiques, and shops that showcase local artisans. There is ample street parking as well as several parking lots. The sidewalks are wide and provide an easy walk to be able to explore shops on both sides of the street. Cathedral Caverns lives up to its name! 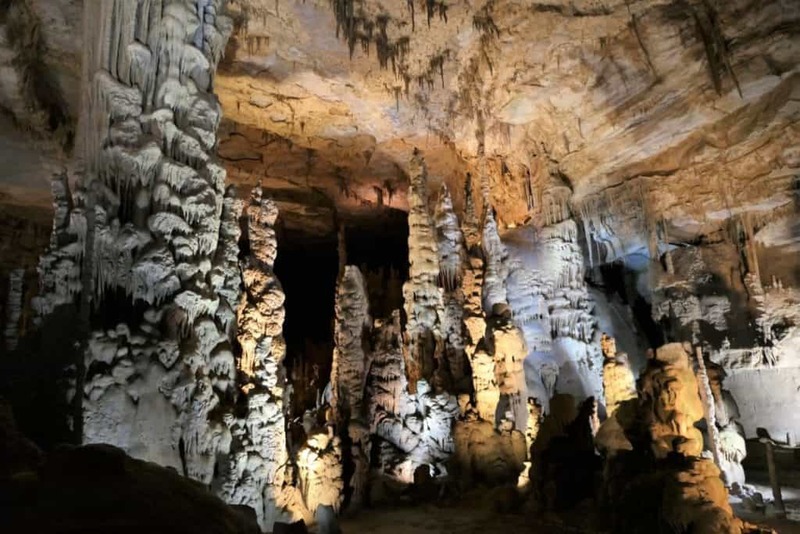 The cave is comprised of very large rooms with lots of active formations. The tour lasts approximately 90 minutes and travels about 3/4 of a mile into the cave. The path is paved and you can bring a stroller. There are some inclines and a few spots where the path does have a downward slope. This state parks offers something for everyone. Enjoy the lake and do some fishing, boating and swimming. Get in 18 holes at the Eagle’s Nest Golf Course. There are miles of hiking trails plus trails for biking and horse riding. Spend an afternoon zip-lining though the trees. Or just relax on the patio of the lodge or your cabin and enjoy the views and silence. The dining room is open daily for breakfast, lunch, and dinner. Enjoy the view of the lake through floor to ceiling windows. 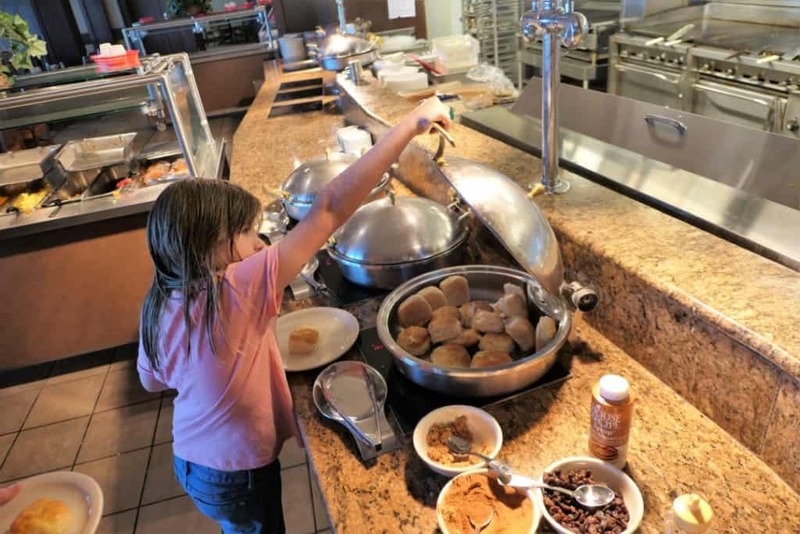 We enjoyed a buffet breakfast that included eggs, bacon, sausage, french toast and more! 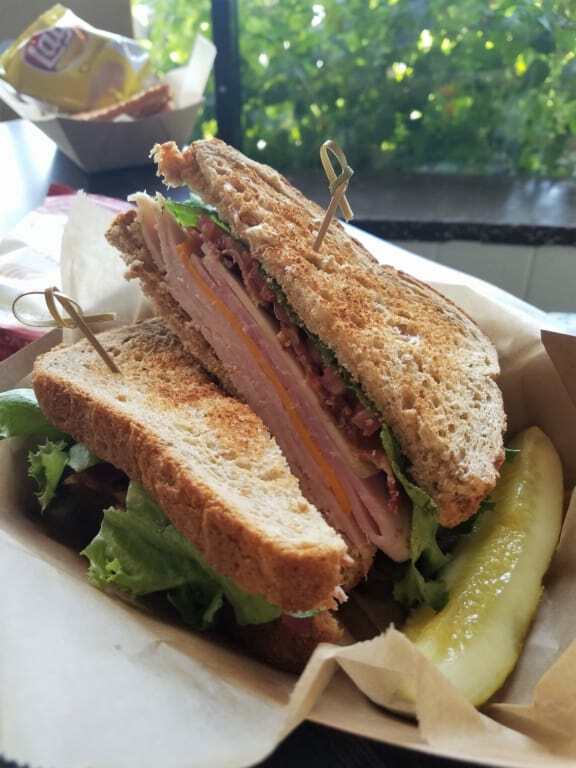 Cafe 336 has a large selection of salads, sandwiches, and homemade soups. There are daily specials and a kids menu available at the counter where you order. The chicken salad was fresh and flavorful and the 336 Club was stacked high with meats and cheese. Be sure to save room for dessert! I had the strawberry pretzel salad, which was more like a layered dessert than a salad. The combination of salty pretzel, fresh strawberries, and cream cheese filling was amazing! 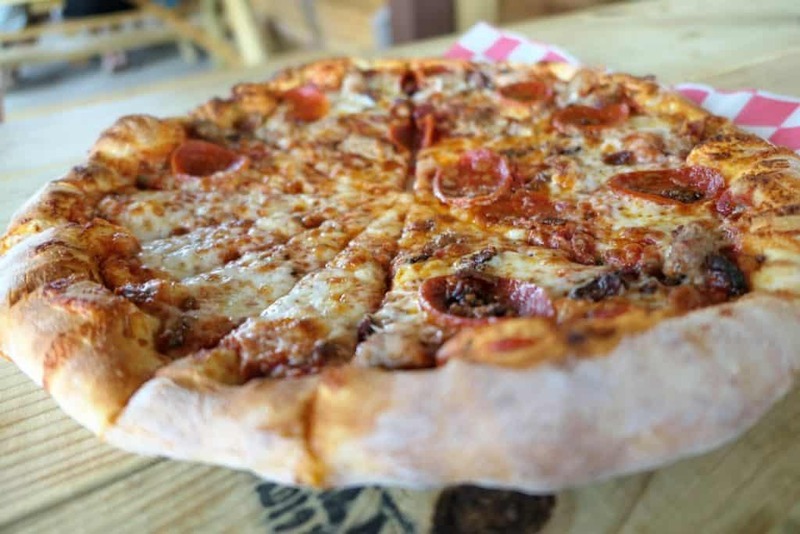 The Vineyards are a great place for a casual dinner of wood fired pizza and Alabama wine. The Vineyard has been named Alabama Winery of the Year multiple times and after tasting several varieties I understand why. The winery produces traditional wines such as Chardonnay and Merlot along with fruit wines including Apple, Strawberry, and Peach. Be sure to try the Sylvaner; the winery’s signature wine. 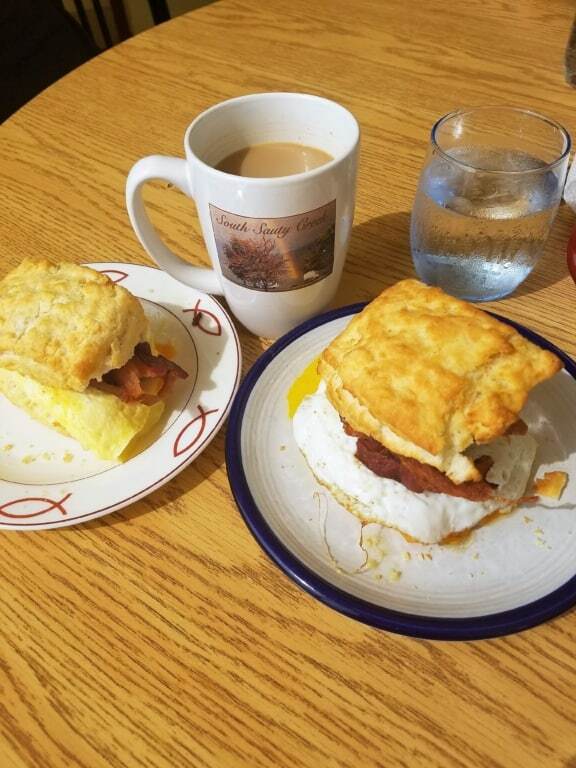 Located about 20 minutes north of Lake Guntersville State Park, the Homecoming Cafe is not to miss! The breakfast sandwiches were HUGE and the candied bacon stuffed french toast was a culinary experience! They also serve biscuits with chocolate gravy which was a hit with the kids. The cafe is casual with counter service, and you help yourself to drinks and coffee. 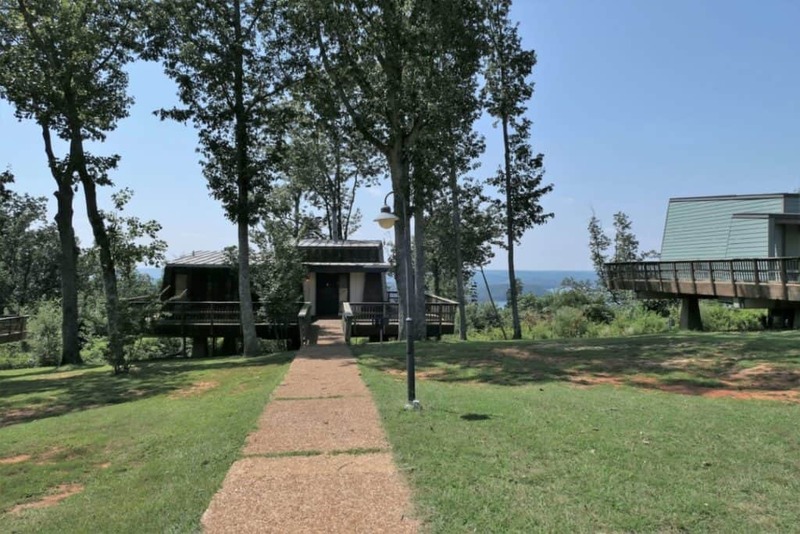 There are lots of options to stay at the State Park. Camping sites range from $14 – $26 per night depending on the amenities and location. If your family are not campers, rooms in the lodge start at $107 and you can get a cabin or chalet which include multiple bedrooms and full kitchens starting at $140 per night. Marshal County hosts several festivals and events that are worth traveling from Nashville to attend. Our favorites are the Main Street Music Festival in August and Eagle Awareness weekends in January and February. This annual two day festival is held in Albertville in August and free to attend! There are always notable artists that play. This was the 9th year and the headliners were Clay Walker and Tyler Farr. In years past, the Festival has showcased Brett Michaels, Sara Evans, Tracy Lawrence, 38 Special, Exile, The Belemy Brothers, Jo Dee Messina, Jacob Bryant, and Craig Morgan. You never know who will be on stage in 2019! Marshall County would be a great place for some holiday shopping and celebrating. The city of Arab, Alabama hosts Christmas in the Park with over two million holiday lights. Arab’s Historic Village is transformed into a Winter Wonderland with activities for the whole family. Visit Santa and his elves as they prepare for the holidays. Lake Guntersville is a winter nesting ground for majestic bald Eagles. Spend a weekend learning about these amazing birds and see them in the wild. There are live bird demonstrations, crafts, hikes, and interactive programs with notable speakers from all over the country. 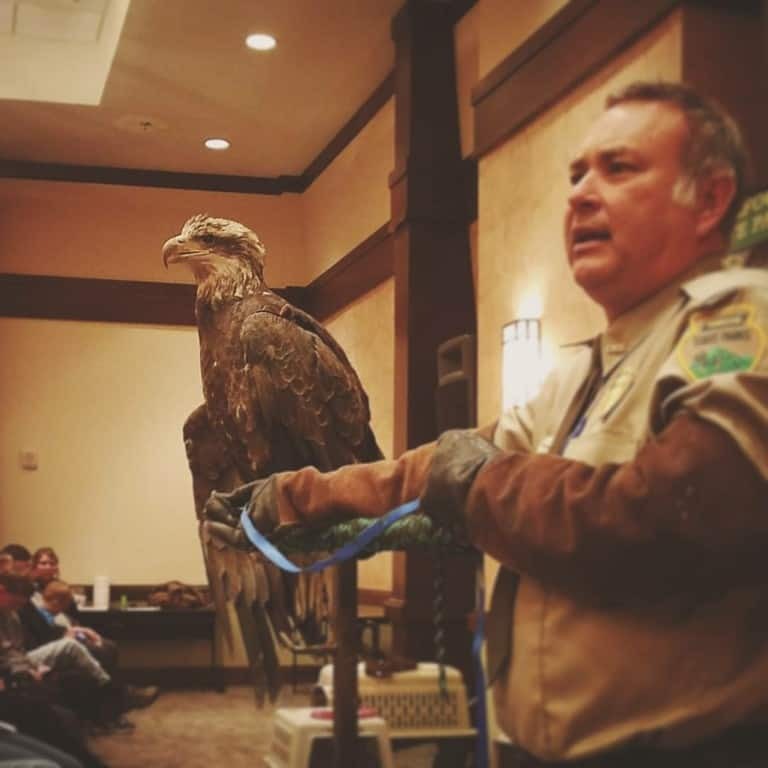 Read more about our experience when we attended an Eagle Awareness weekend in 2018. 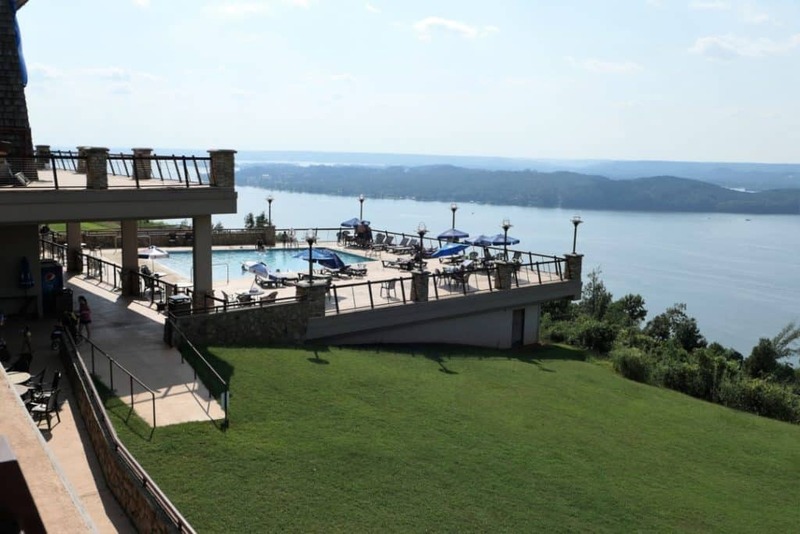 Next time your family is looking for a weekend destination, consider Marshall County, Alabama. There is something for everyone!